Cheryl Gillan MP, Shadow Secretary of State for Wales, answers the questions that you asked here. Tony Makara: Is there a danger that a vote on devolution in Scotland could trigger a break-away trend in Wales too and if so how could that be countered? Tony I think you mean if there was a vote on independence not devolution, as there is already a Parliament in Scotland. I do not believe there is any real appetite for independence in Scotland or indeed in Wales. When you really think it through, it does not make any sense to break up the world's fifth largest economy and we could sacrifice our position at the top in international arena such as the UN and even Europe. Wales, although a proud Nation, is also inextricably linked to England in so many ways and I have never been asked to press for independence by anyone I have met over the past 2 years. I think Wales and for that matter Scotland is stronger and better placed as part of the United Kingdom. When we are facing challenges in the future from emerging economies like China and India we need a united front. Tax cutter: What do you think can be done to overcome an often illogical anti-Tory bias in Wales? The Labour party and for that matter the other parties have always sought to paint the Conservatives as anti-Wales, as if supporting the Union is somehow anti the constituent countries of the Union. That for me is an enormous lie. What concerns me is that Wales is still the poorest part of the UK and I would hope that so many of our developing policies would help lift many families in Wales and build on the strength and determination which is, to me, such an obvious national characteristic. I would hope that our policies on tackling social breakdown and on helping people achieve their aspirations would appeal to voters. I and the tremendous and growing Welsh team of politicians and candidates for the next council elections and the Westminster elections (whenever the PM finds the courage to call it) will be doing our best to show that our plans are quite simply the best for the people and families in Wales. 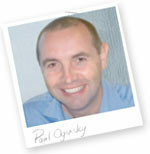 Paul Oginsky of the Young Adult Trust answers a selection of questions that you asked here. Pisaboy: Great speech at conference Paul. I remember you saying you were in the Paras- My favourite part of the idea is the military service bit. Do you think that could be a bigger element than currently proposed without it putting strain on our forces? Every sector (including the military) has something to offer and something to gain from NCS. The military’s contribution will be focused in the ‘challenge’ section of the programme where they have a great deal of expertise. In this way NCS will not overstretch the military and it will become one of the most enjoyable and rewarding parts of service life. It is also recognized however that ex-service personnel have an enormous amount to offer throughout the NCS programme. Baskerville: Would you agree that a National Citizenship Service should not be organised centrally, but locally? My preference would be to base it on counties, but I'd like to hear your views. Also, what should be the public/private/charitable mix and how would you ensure it was achieved? You have correctly identified some of the key questions for the implementation of NCS. We have set up an accreditation working group lead by Joe Gordon of PricewaterhouseCoopers to ensure effective local delivery and the successful businessman Kim Taylor Smith is leading a working group which will make recommendations on logistical systems. Anthony Broderick: A lot of schools seem to be keen on cutting down their summer holidays and spreading the holiday time throughout the rest of the year. Wouldn't that be a fly in the ointment for this? I'd love to see this as a compulsory gap year that gave people life experience (and I agree that military training should be a big part), but I suppose you ruled that out for being too radical? As the programme becomes embedded, schools, business, the voluntary sector, the military and everyone will recognize the hugely positive impact it will be having on British life. They will get behind the collective effort and play their part in its delivery. NCS does have some key elements but beyond them the programme is meant to be flexible and as such it will adaptable to local need and to any changes in the school term. Any questions for Cheryl Gillan MP? Cheryl was Parliamentary Private Secretary to the Lord Privy Seal, Leader of the House of Lords from 1994 until July 1995. 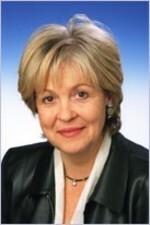 In July 1995 she was appointed Parliamentary Under Secretary of State at the Department for Education and Employment. She was appointed Frontbench Spokesman for Trade and Industry in June 1997, and in June 1998, she was appointed Frontbench Spokesman for Foreign and Commonwealth Affairs. From September 2001 to June 2003, she was an Opposition Whip. In December 2003, she was appointed a Shadow Minister for Home, Constitutional & Legal Affairs. Any questions for Paul Oginsky? Paul Oginsky co-founded the now well-established Weston Spirit organisation with Simon Weston back in 1987 and remains Vice-President. After establishing a company that supports organisations that seek to foster positive social interaction, he was appointed Chief Executive of the Young Adult Trust in October 2006. The YAT was launched by David Cameron and began its work reviewing various age limits. More recently it was largely responsible for the thinking behind Cameron's National Citizenship proposals for a course for 16 olds that could include volunteering abroad, military service, and an oath of citizenship. Download the full proposals here.